Hyperconverged infrastructure company, SimpliVity, has unveiled new PartnerAdvantage programs and initiatives to help partners worldwide get on board with hyperconvergence. The Cloud Service Provider Program, Technology Alliance Program, and new advanced training for solution providers will provide partners with the tools, structure, and support necessary for hyperconverged infrastructure. 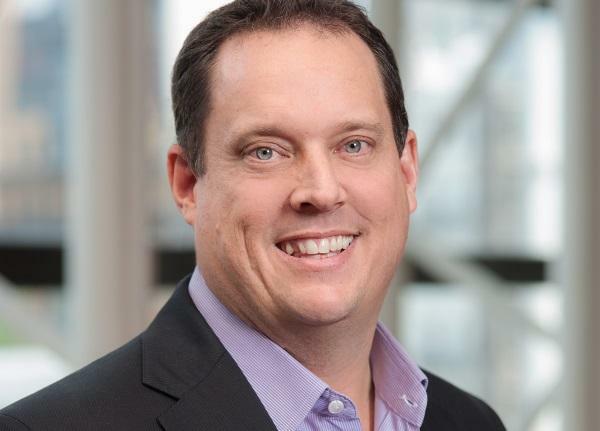 SimpliVity vice-president of global channel sales, George Hope, said since inception, SimpliVity has focused 100 per cent on the channel, allowing it to build a partner community focused on simplifying IT for customers. “Today, we’re expanding the scope of our partner program by adding new revenue and engagement opportunities, demonstrating our steadfast commitment to our partner ecosystem and their customers,” he said. According to SimpliVity, the new Cloud Service Provider Program allows partners worldwide to deliver on-demand Cloud services based on the company’s hyperconverged infrastructure. To be made available in the first quarter, the new program will enable Cloud service providers to offer on-demand services, including infrastructure as a service (IaaS), virtual desktops as a service (DaaS), and disaster recovery as a service (DRaaS). It will be made available in a consumption-based pricing model, allowing service providers to pay based on the resources they consume using SimpliVity on a per VM basis and covers all hardware, software, and support. However, this pricing option is only initially available to select service providers in the US as part of a pilot program and will be rolled out more broadly (including Asia-Pacific and Japan) in the second half of 2016. The new Technology Alliance Program, which is now available, enables technology providers and system integrators to integrate their offerings with SimpliVity hyperconverged infrastructure. SimpliVity claimed a key differentiator of this program is the ability for partners to leverage the Customer Technology Showcase, SimpliVity’s global hyperconvergence demo Cloud, which allows them to deploy, test, and demonstrate their technology with SimpliVity. The program also provides partners with joint go-to-market planning, alignment to SimpliVity sales, marketing, and distribution channels, access to APIs and SDKs, as well as access to new SimpliVity solutions and product enhancements. As for the Solution Provider Program, SimpliVity has enhanced this existing program by expanding revenue opportunities, investing in new partner tools for deal registration and demand generation, and adding on hyperconvergence training. SimpliVity added that the new SimpliVity Advanced Pre-Sales Concepts Training helps partners boost their in depth expertise by focusing on technology fundamentals, competitive readiness, and specific customer use cases. SimpliVity Asia-Pacific and Japan vice-president, Scott Morris, told ARN the program was created as the company wanted to identify key integrators for total partner self-sufficiency. “The channel has been our foundation and this sets the right tone for our business and encouraging return from the partner community. “What this means for our existing partners is that it will soon be elevating a number of partners in the hierarchy. The first promotion of the Asia-Pacific and Japan partner group will see them level up to gold partners in the next six months,” he said. Morris also said that since the programs are in its early days, the company’s in the midst of identifying partners that have a focus behind providing Cloud services. The company is also looking at offering rebates and sales incentives, especially marketing funding to create demand. “We think there’s going to be significant earning potential for their sales teams and they’ll be able to wrap it around turnkey marketing programs that tie into that. For SimpliVity, it embeds us as a competitor in an unchecked market, being external Cloud,” he added.